Truly, India has been a prominent cradle of musical civilization and has its roots deeply set in prolific creation of new sounds and visions with the aural arts.Throughout the globe there has been a genesis of sorts with new technology, gears and revolutionary movements getting launched that are fast pulsating through the underground into the commercial arena.Piyush Bhatnagar is at the aegis of his powers, as he explores and introduces the dubbed side of music, fused with Indian elements and Western percussions bringing his unique sound with Dubstep / Breaks/ Drum n Bass to India. 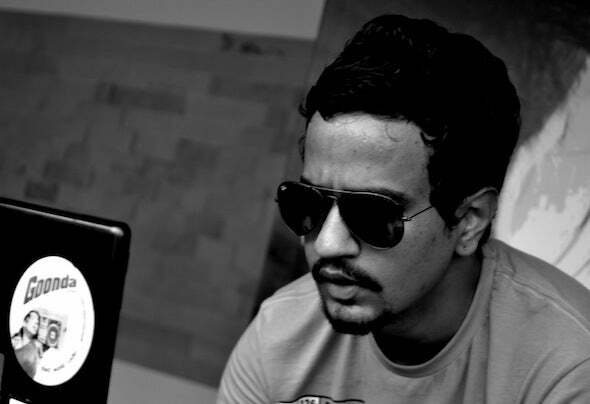 Not only that, he’s also exporting the earthy sounds of the country internationally as he churns his best outside the borders.He’s out there to out-bass and smother you with the Phatt - est Basslines from this side of the continent.Piyush Bhatnagar aka "Sound Avtar" is one of the hottest Dub Artists to have come out of the Asian zone in recent times. He was also one half of the inexhaustible DEAF BASS TWINS, where he handled Production / Live Set / Tech-Support - the duo that had ripped the underground music scene apart.8th grade, a time when most of us have no direction in life and are busy looking for helping hands, Piyush was learning the Art of DJ’ing and he hasn’t looked back since!He picked up a residency at a Jaipur’s club in his 10th grade and began Turning some real heads around (In A good way Off course ) and also started producing bootlegs for his mixes and sets.He joined the SAE (School of Audio Engineering) later for his Diploma in Recording Arts in Mumbai.His sound is, both, influenced and supported by bigwigs such as Bobby Friction, Nucleya, BREED, MIDIval Punditz ,Skrillex, Porter Robinson, Kill the Noise, Doctor P who help him stitch together a pulsating sound which consists of,Dubstep, Drum n Bass and Glitch, Asian Underground; Creating a sound that is deeply rooted in Indian zests to contemporary EDM.